How Does Windows Phone 8 Improve On Windows Phone 7? 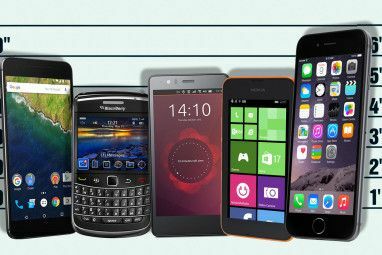 Since its release in October 2010, Windows Phone 7 has improved considerably, entering a market dominated by Apple and Android while doing its best to overcome the shrinking market share left by its precursor, Windows Mobile. 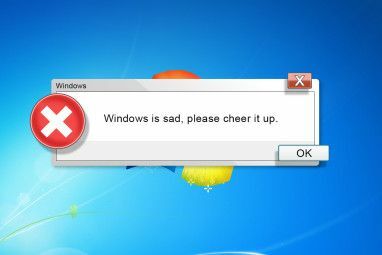 The initial launch wasn’t perfect; certain vital aspects were omitted, such as copy and paste and threaded message conversations, but within 12 months these issues and others had been resolved, resulting in a robust and slick operating system for which thousands of new apps are becoming available every month. This year we will see the launch of a replacement platform, Windows Phone 8. Also known as Windows Phone Apollo, this new release is designed to improve on the previous version, and will be launched alongside (or very close to) Windows 8, heralding the beginning of Microsoft’s attempts to unify their operating system across all device types. We can expect much from Windows Phone 8 – after all, Microsoft were working on it before they started on Windows Phone 7! Due in part to its incomplete initial release and also to the unfashionable legacy of Windows Mobile (which the platform is still confused with, two years later) Windows Phone has sadly failed to make the level of impact that Microsoft hoped. This is disappointing, not just for Redmond but for those of us that own Windows Phones and know what a pleasure it is to use a device that isn’t reliant on a 5 year old user interface, that offers native integration with all of the popular social networks, portable Microsoft Office, SkyDrive integration, mobile access to Xbox Live and much more. The real strength of Windows Phone 7 is that it is fast. Photos snapped and uploaded to social networks are published in a fraction of the time that they take on Android and iPhone, while fewer steps are required to perform common mobile phone tasks such as messaging, calling, etc. We shouldn’t forget the Metro UI; the popularity of the user interface among designers and reviewers has led to its wider adoption on the Xbox 360 and it is of course a key aspect of the new Windows 8. Naturally, of course, there are some shortcomings with Windows Phone 7. After all, what would be the point of Windows Phone 8 otherwise? Probably the single worst aspect of Windows Phone is the use of the Zune desktop client as a sync agent. While the application itself is generally pleasant to use it is a little on the slow side. As a replacement for Windows Media Player it is more than suitable; as an alternative to iTunes, however, Zune is only just adequate. All of this makes Zune a little difficult to use, particularly for syncing and applying updates to Windows Phone. It might also be argued that forcing users to share their contacts to a cloud (whether Exchange or SkyDrive) is a little unfair, but the majority of shortcomings to the platform come at a more technical level. Things like a limit to the 800×480 px resolution, support of only 16 GB of storage, no microSD support, limited Bluetooth, an inability to email documents, limited customization options, lack of Flash and Java support, and various other quirks and foibles exist. The omission of enterprise support and true multi-tasking has also proved problematic for some users. Finally, Windows Phone 7 simply isn’t as popular as it should be. By releasing Windows Phone 8 alongside Windows 8 and promoting the effortless integration between the two platforms, Microsoft will be hoping to shift a lot more WP8 devices over the next couple of years. What’s New in Windows Phone 8? So, what can we look forward to in Windows Phone 8 that improves on the previous release? Well, how do you fancy improved Bluetooth support and the presence of NFC (near-field communication)? Designed for file transfer and perhaps even making payments, NFC is a technology that is appearing across all mobile phone platforms. Meanwhile, the limits on the screen resolution in Windows Phone 7 are being overcome with high definition in the shape of WVGA, WXGA and 720p, the result being better control over the size of Start screen tiles. Another hardware improvement is support for multi-core processor devices, while screenshots will be enabled natively (as opposed to homebrew apps). Improved (actual) multitasking will enable users to use multiple apps at the same time while native photo resizing/cropping is also expected. 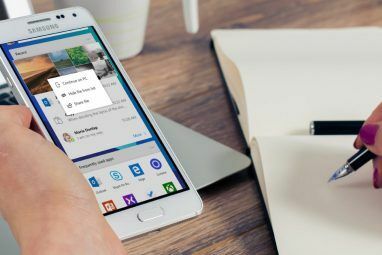 A new release of Office Mobile should be included alongside a new Wallet Hub which will store digital coupons, loyalty cards and other payment methods, and will probably integrate with the new NFC hardware. Another new hub will be available to corporate customers, meanwhile; the Company Hub can be tailored to display employee apps and company information. The Xbox Music Store will replace Zune Music, while backups are set to be provided to enable the storing of apps and messages in your SkyDrive and it will be possible to hot-swap microSD cards to install apps and view media. 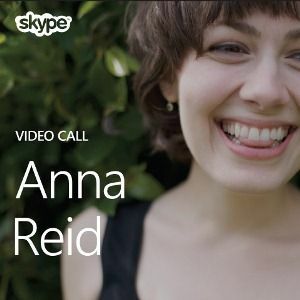 Meanwhile a strong degree of integration with Windows 8 tablets and PCs is expected, while Microsoft’s purchase of Skype will see the app fully integrated with the People Hub and phone dialer and video chat available via the front-facing camera that will be found on all Windows Phone 8 handsets. What About Windows Phone 7.8? One of the main complaints about the coming Windows Phone 8 is the fact that for existing Windows Phone users, an upgrade is going to mean a completely new phone. Hardware changes mean that any Windows Phone 8 device is going to be far more future-facing than the original Windows Phone devices. Upgrading might prove expensive, but in order to placate their users, Microsoft have announced Windows Phone 7.8, a sort of midway update that adds several Windows Phone 8 features to first and second generation Windows Phone 7 devices. Which features will be made available to legacy users isn’t yet known at this stage, however based on what Windows Phone can currently do it would be fair to expect the photos resizing and cropping, app and messaging backups and the Xbox Music Store to make an appearance. Are You Ready for Windows Phone 8? As you can see, Microsoft seems to be intending that Windows Phone 8 will be its quintessential mobile phone platform. Every shortcoming of Windows Phone 7 appears to have been revised or massaged (based on what we know so far) so that Microsoft can finally enter the smartphone game back on level terms with the competition (a place they haven’t been since 2006). A key disadvantage in Windows Phone 7 was the lack of enterprise support – surprising as this was the core audience for Windows Mobile. Restoring the importance of this market to the Windows Phone strategy seems like a good move by Microsoft, who will no doubt be pushing phones to run alongside PCs and servers at their largest corporate customers. For the rest of us, meanwhile, the feature set of Windows Phone 8 is on a par with that of iOS and Android 4.0. With the Metro UI as the cherry on the top of the cake, Windows Phone 8 could just be the mobile operating system to finally bring some real competition back into the smartphone market. Explore more about: Windows Phone, Windows Phone 7, Windows Phone 8. Metro UI is itself super choco yummy double size cake on the top. can we operate windows base application like outlook or application which generally used in windows xp or windows 7 operating system. Please tell me how you add smilies to comments. My HTC HD7 was my first smartphone and second touch-screen device (first being an iTouch). After using iOS and playing with my friend's Android phones, I loved Windows Phone 7's new spin on things, but wasn't entirely happy with the OS until WP7.5. With WP8 coming out, it improved and added features I was vaguely aware was missing. When I loose or break my HD7, I'll definitely buy a WP8. It's a great OS, and integrates well into other systems and networks. Why exactly is Android better in your opinion? It is meaningless to make a statement such as this, without specifics. "In your opinion" is just too dated and uncivilized. If you're from the cave, and you say "sleeping in the trees is better IMO", then that's just so sad. Android is better. Android has the ability to do more, including running a full desktop OS environment, hell you can even have windows phone interface on android. More on topic though, it was stated that current devices cannot be updated to WP8 due to hardware limitations, there is no reason to believe that is the case. From what I see, there are more features and SUPPORT capabilities added to WP8 for more advanced hardware, but that still is no reason existing devices cannot be updated to WP8. The whole point of WP7 and its unified hardware was to allow for unified updates and prevent this exact fragmentation. You mean android is a copycat and copies interface from other platforms. Time for a suit by Apple and Microsoft. Hope to see close integration of WP8 with Windows 8 RT, as far as I heard WP8 will have the same kernel as Windows 8. So, there should not be problems with porting Metro apps to WP8. Hmm...i wonder how well it will perform overall compared to the iPhone 5. In overall WP7.5 has great performance, it is quick, smooth as iPhone4s and not a fast battery power eater as any other Android device. Hope to see great devices from Nokia, as it is last chance for the company to stay afloat.